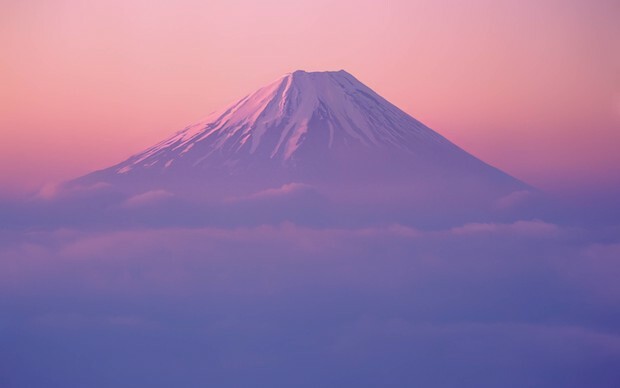 Mac OS X Lion Developer Preview 2 has a new version of the default Mt Fuji wallpaper. The new picture shows some clouds in the foreground and the mountain itself has a bit less snow on it, creating less of a contrast. As usual for Apple’s default desktops, it’s absolutely beautiful, and it makes a great desktop background. Click the image above or here to download the full version, it’s a rather large 3200×2000 pixels. Apparently the Lion Space wallpaper from Versions is also different in the new Developer Preview as well, we’ll see if we can track it down. Thanks for sending this in S.E.! I like the new one more. Maybe they’ll keep changing it in each dev release? I Think… that the fuji will not be chosen by default… but the water drop wallpaper that came out a couple weeks ago… it’s the same as on your iphone/ipad/ipod… after all it’s going to look like an ipad… see launchpad. Except that the water drop wallpaper for the Mac wasn’t an official Apple wallpaper. So the chances of that are just about…zero. Maybe when you run LaunchPad the wallpaper fades to a different one, like waterdrops? Right now it shows your desktop wallpaper picture. Also the cover art screen saver is different in Lion, havent heard of anyone finding that yet. Low on ideas for blog posts? And I’m sure some people come to OsXDaily to see these kind of posts. Like me. I do as I enjoy having a variety of the default wallpapers. Nobody noticed that the 3200×2000 resolution is much greater than any screen offered by Apple? You know what such a resolution would be perfect for? Developing for a retina iPad display. It’s coming people, it’s coming. I’m still looking for the wallpaper from the first preview, the flower… anyone have it? That wasn’t from the first dev preview, that from from the first-look event back in October. It was never released to the public. I like the new one better also. It is less obtrusive and just as beautiful. Easier to focus on organizing the clutter on your desktop instead of on the background. I did some calculations last night, and Loren might just be right: that resolution would make possible Retina Displays, but more than just for the iPad. It could actually enable them across Apple’s entire laptop lineup. At only 115 kB, this photo is ridiculously compressed and has plenty of compression artifacts/effects. To put that in perspective, the Snow Leopard default picture is 553 kB, which is 4.6 times larger despite being only 64 % the size of this new desktop pic. Anyone with a high quality display would easily see how poor the quality of this Fuji mountain photo is. I like the eclipse background from previous mac versions> Will it be available?